F.W. Murnau started his career in the theatre. 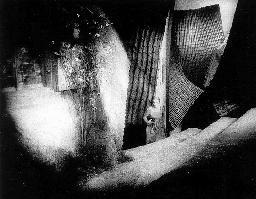 From 1912 onwards he worked with Max Reinhardt at the Deutsche Theater in Berlin. During the First World War he served in Latvia and at the western front (His best friend Hans Ehrenbaum-Degele died in 1915 at the Russian front). In 1918 he was imprisoned in Switserland, where he wrote his first film script. In 1919 he returned to Berlin where he started working as a director. His first movie was "Der Knabe in Blau" (1919) and in 1922 he directed the classical horror movie "Nosferatu, Eine Symphonie des Grauens". His movie "The Last Man" (1924) was the upstart to his international career. It is about a doorman (played by Emil Jannings) at a prestigious Berlin hotel who is demoted to toilet attendant because of his age. "Faust" (1926) was an expensive movie for the international market. Murnau gave the part of Gretchen to the completely unknown Camilla Horn and it was a huge success. It was his last movie for Ufa in Berlin and he went to the USA to work at "Sunrise - A Song Of Two Humans" (1926/27) for Fox. Further movies are "4 Devils" (1928) and "City Girl" (1929). Murnau was gay and had affairs. This was no problem in Germany, but in Hollywood he had been the subject of much gossip. Apart from this he frequently stood in contact with fortune tellers. Shortly before his last film "Tabu" hit the cinema he died in a car crash in California. The car was driven by Garcia Stevenson, a 14-year old boy who was his valet and his lover. Stevenson died as well. 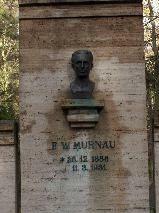 Murnau was buried at the Stahnsdorf cemetery in Berlin and a funeral speech was held by Fritz Lang. Only a few people were present, among them Emil Jannings and Greta Garbo. 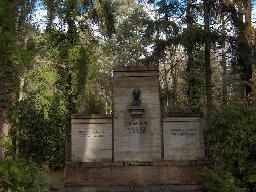 The grave of F.W. 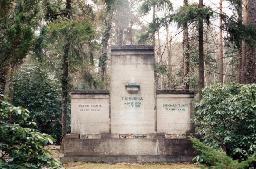 Murnau at the Südwestfriedhof, Stahnsdorf, Berlin. 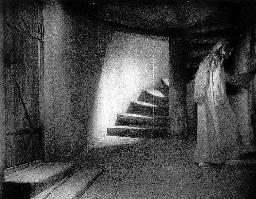 Camilla Horn as Gretchen in Murnau's "Faust".